After my LCD screen was taken apart it was pretty much useless until I got a new way to mount it, so I created my table's body next. I figured my camera could see my whole screen area from about two feet away, so that is how big my table was going to be. 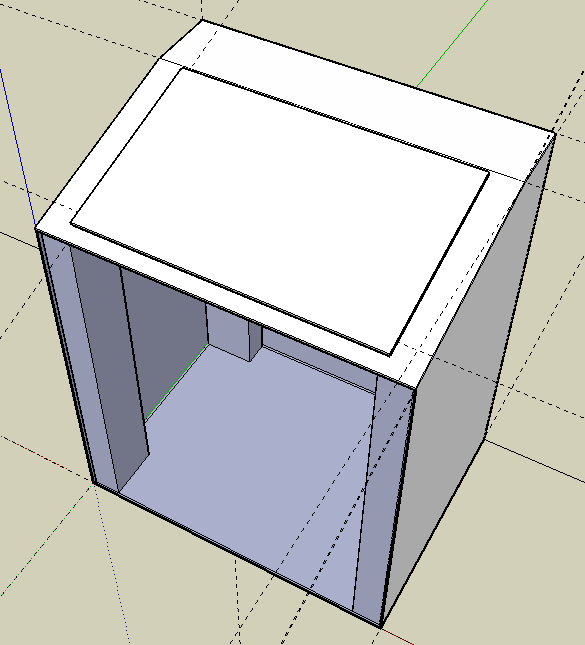 To make sure I got all my measurements right I first made a model in Google SketchUp. It was my first time using said program, but it was extremely easy to use. Here is my first draft. I really liked this first design, but it wasn't very realistic. First, it wasn't two feet tall. Second, the table would need walls, so the backlight wouldn't be shining all over the place. Third, I don't own a Mac Mini. First I made the tabletop. It was made out of a piece of leftover PVC from my brother's store, Signs By Tomorrow. We cut out a hole 1/8" smaller than my LCD panel. Then I used a Dremmel to carve out a little ledge for my LCD panel to sit on flush with the table's surface. To make the little crook in the tabletop we sawed a short line about 3/4 of the way through the panel and then bent it. I have never done any woodworking (besides making a few things out of balsa wood for the sole purpose of crushing them) so I had my brother-in-law help me build the rest. I used 2x4's (which are not really 2" x 4" !) as my legs, then I made walls using some b-board my family had leftover from a bathroom remodeling. It went really smoothly. 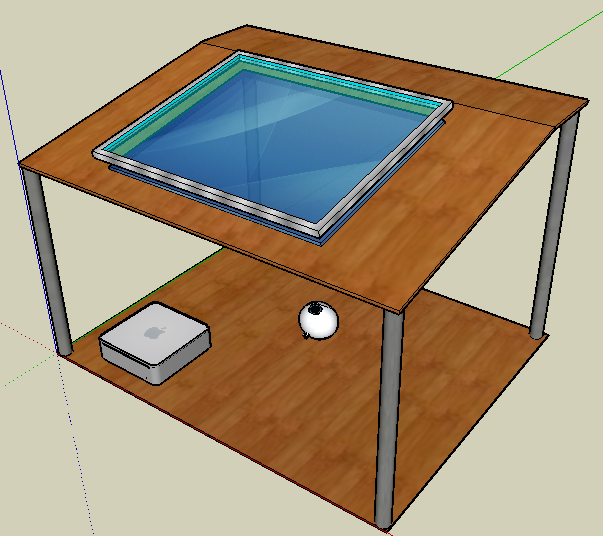 All the measurements were taken from the Google SketchUp model so everything fit together really great. I am sorry, but I didn't have my camera there as I constructed my table, so I have no pictures here. Attaching the LCD panel was really easy once I had the table done. I simply placed my LCD panel in the little groove I had created for it, then ran the wires down below and attached the circuit board and power supply to the underside of the tabletop. Here is a picture of the inside of my table, looking up. Those wires are from the original backlight, which I tried to use but failed. 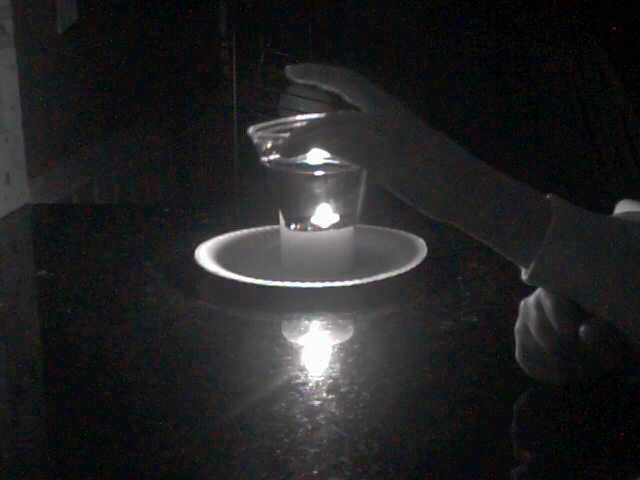 To sense the infrared light coming from my FTIR frame I would need a camera that could only see infrared. 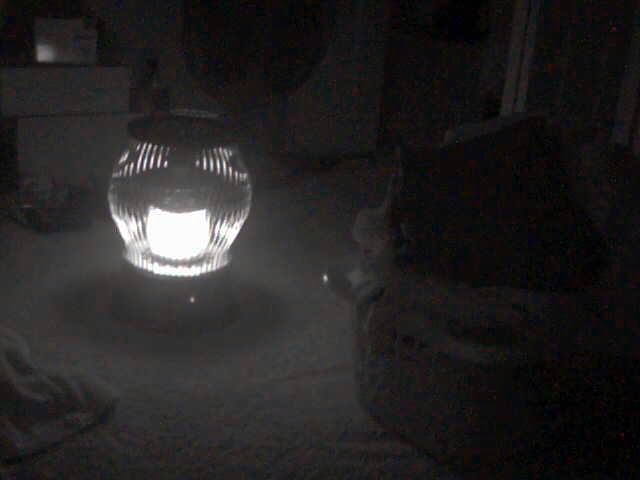 As it turns out, the sensor in most web cameras (a CMOS sensor) is sensitive to infrared light. However, most camera manufacturers place a filter within the camera to block the infrared light, so that images being made are closer to what the human eye sees. After all, when have you seen a remote control let off a bright beam of light every time you changed the channel, or drank clear Coca-Cola? To make an infrared camera, I simply had to replace the infrared block filter, with a filter that blocks everything except infrared light. A cheap way to do this is to use an exposed photonegative. The infrared sensor was found by unscrewing the lens. It is a small piece of glass that has a red-ish tint to it in the light. It cracked a bit coming out, but that is okay, as it is no longer needed. Once the IR filter was removed, I put in the exposed photo negatives. The more you put in, the blurrier your image is going to be. However, they aren't perfect filters and will still let some visible light through, especially if it is bright. I found that three little layers worked fine. Now I put the camera back together and tested it out. It wasn't compatible with OS X natively, but with the help of the driver from http://webcam-osx.sourceforge.net/ it worked just fine. If you are using OS X, make sure your camera runs on OS X before you take it apart, as any disassembly tends to void most warranties. It is really fun to play with the camera. 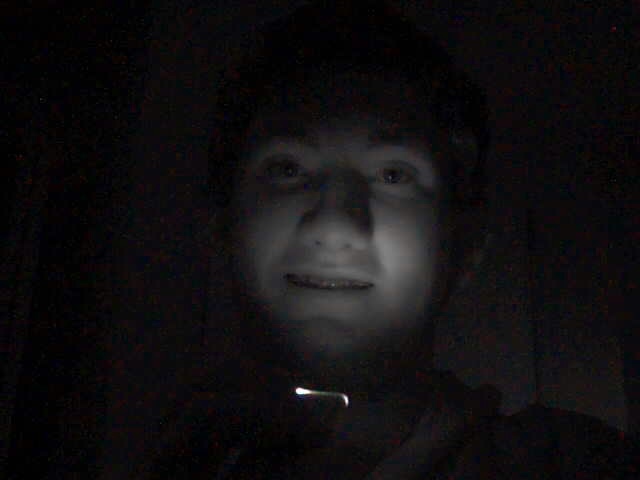 You can use a remote control as a flashlight. Any really hot things, like my space heater become light sources. Coca-cola even looks like water with IR (that is a candle behind the cup of Coke, by the way). *Note, these IR pictures actually weren't taken with this camera. I got a different camera later on and took these pictures with it. After seeing some of the awesome multi-touch demonstrations on Youtube, who wouldn't want their own multi-touch table? The only thing that stopped me from going out and buying my own immediately after seeing Jeff Han manipulate his vacation photos as if they were scattered cards was the price tag. A multi-touch display from Perceptive Pixel costs in the ballpark of $100k. Microsoft's version of multi-touch, dubbed the Microsoft Surface is estimated to be between $5,000 and $10,000. And those are assuming that you can find a model ready to be sold. 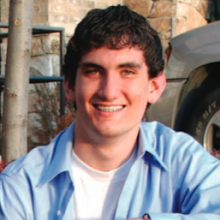 I don't know about you, but as a high school student, I don't have that sort of pocket cash. Luckily, there are already online communities scheming plans to bring multi-touch to their houses for a reasonable amount of money. I decided that I would build my own. Here I will document my progress, and hopefully help someone else bring this awesome technology home. Also, a great place to look for information on building your own multi-touch table is www.NUIGroup.com. They have been invaluable to me along the way. Seriously, some very awesome people are there.